The man that we all love to hate and hate to love is back. Only this time, because of his dirty dealings, Mikey Thomas is faced with some huge problems. After killing a member of his own biker clan, the big boss of The Blood Brothers is suspicious. To make matters worse, Toledo’s most vicious hitman unwittingly witnessed a Mob hit from another Family. Mikey soon finds himself on the other side of the Mob. Mikey presses forward with his usual cold, calloused, and calculated schemes. 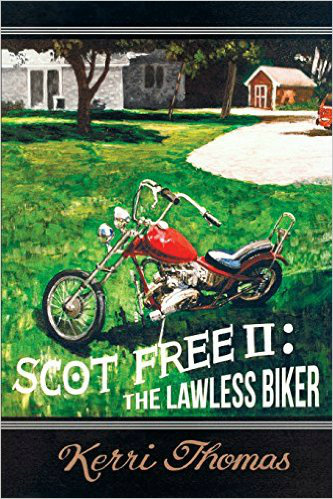 His unsavory ways may finally be his demise and end his relationship with his biker family. Mikey must testify before the Grand Jury against the Leoni Family and what he says may very well cost him his friendship with Toledo’s own Don, Tony Martinelli, if not his own life. Through his daughter Kerri, Mikey tells his story of what it was like being a biker in the 1970’s. He also shares his experiences of being the one to carry out many contracts for Tony Martinelli. Join him in his criminal world filled with deceit in this fictional novel inspired by true events.